Understanding the past can mean everything for our future. Religious questions. Career decisions. Family disagreements. Will and Liz are grappling with the same issues in the 1840s that Jeff and Abby face in the present. In the latest historical novel from best-selling author Dean Hughes, their parallel stories show how important a legacy of faith, determination, and courage can be in any age. 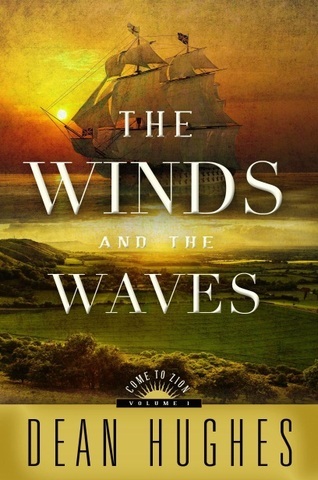 The Winds and the Waves (Deseret Book, 978-1-60907-058-8, $24.99, hardcover) is the first book in Hughes’s new Come to Zion series and the 99th book he has published in his prolific career. Hughes drew on significant personal experience and research to relate these dual storylines that not only take place in different centuries, but on different continents as well. He and his wife, Kathleen, served as Latter-day Saint missionaries in Nauvoo where they became intimately familiar with both the history and the modern-day dynamics of the popular LDS tourist town and church history site. Hughes also wove in history of the United Brethren in 19th Century Great Britain into the Come to Zion series because both he and his wife are descendants of members of that group. Over 30 years after he published his first book, Under the Same Stars, the second in the Come to Zion series, expected to be released in the summer of 2013, will be his 100th published work. The Winds and the Waves is now available at Deseret Book, on Deseret Bookshelf, and at other select retailers. About the Author: Dean Hughes has published 99 books for readers of all ages, including the popular Children of the Promise series. He holds a bachelor’s degree from Weber State College and an MA and PhD from the University of Washington. He has taught English at Central Missouri State University and at Brigham Young University. Dean and his wife, Kathleen, recently served a mission to Nauvoo, Ill. They are the parents of three children and grandparents of nine. They live in Midway, Utah.